Cervical spinal fusion is a common treatment for a wide range of chronic neck pain problems, but unfortunately demonstrates some very serious risks for postoperative complications. Spondylodesis surgery goes completely against the natural design of the human vertebral column, so it should be no surprise that many patients do not fare well after undergoing a spinal fusion in the neck. Fusion is one of the most commonly used surgical techniques, often performed in combination with cervical discectomy or cervical laminectomy procedures. Since many surgical undertakings create an unstable spine, fusion is used to restore structure and stability after completion of the primary surgical objective. This highly critical essay details cervical spondylodesis, including the reasons why it is performed, the inherent hazards of the procedure and the common explanations as to why many patients continue to experience pain following surgery. Spinal fusion is performed as a secondary surgical technique if a primary surgical procedure leaves the spinal column structurally compromised. Cervical discectomy and cervical spinal laminectomy can both leave the vertebral column damaged and unable to function normally without some medical intervention. In essence, the fusion procedure is applied in order to reinforce the spine and allow it to function in a relatively normal capacity after significant surgical alteration. 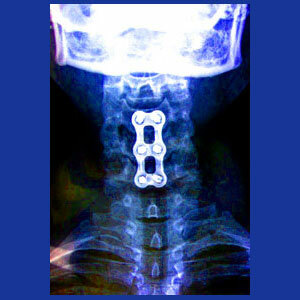 Fusion describes the surgical joining of 2 or more vertebral bones. The procedure can be accomplished using a large dorsal incision, but is more commonly performed using one or more anterior or side-facing incisions. The surgeon will first remove any remnants of the intervertebral discs that normally reside in between the spinal levels to be joined. The surgeon will implant a bone graft in the space formerly occupied by the removed intervertebral disc(s). These grafts may be harvested from the patient or from a cadaver. In some circumstances, synthetic bone substitute might be utilized instead. In many cases, especially when more than 2 vertebral levels are joined, surgical hardware will be installed to reinforce the fusion and allow it to heal more solidly over the recuperation period. Hardware may consist of screws, plates, cages, bars, rods or a combination of these devices. Most surgical hardware will be left in place permanently, but some scenarios allow the hardware to be removed in a subsequent operation after full healing of the fusion. Once the surgeon is satisfied that the cervical spine is adequately supported, they will close the incisions and the patient will move forward towards a long and often painful recovery process that might take up to a full year to complete. The human spinal column is specifically and miraculously designed to provide us with the ability to move freely, while still supporting the considerable weight of the upright body and the various stresses placed upon it. The spinal discs are an important part of this design and when one or more of these are removed, the entire functionality of the vertebral column can change. Each vertebral level can handle a particular stress load and each is separated from the levels above and below by the intervertebral discs. These discs help to mitigate stresses, as well as provide flexibility from one spinal level to the next. When a disc is removed and 2 vertebral bones are joined, the stress applied to that region is amplified due to the absence of the cushion. Since stresses multiply, rather than add up under these circumstances, fusion creates the need for the spine to endure exponential stress in treated areas. Exponential stress, with the addition of completely restricted range of motion in these areas, will cause many possible traumatic effects on the patient. Common consequences include fusions that do not heal correctly or at all, fusions that fracture when exposed to particularly severe stresses and the universal amplification of the degenerative processes on surrounding spinal levels, including osteoarthritis, spinal stenosis and disc desiccation, as well as the increased risk for serious intervertebral herniation. In summary, the spinal bones not designed to be joined to one another and when this occurs, the entire spinal functionality fails at multiple levels. The larger the fusion and the more vertebrae are involved, the more each of these damaging processes will increase, once again, exponentially. Spinal fusion is a terrible surgery to undergo, even when things go perfectly. In ideal conditions, the patients will have significant postoperative pain and will have to spend time learning how to safely perform all their physical exertions without damaging their surgically-altered spine. Extensive physical therapy is almost always a necessary part of the surgical recuperation process. Even in these ideal conditions, the patient must be wary, since certain activities and medical treatments may place inordinate stress on the fusion, causing it to fracture at some point in the future. A fractured fusion will often necessitate secondary surgical intervention to further fuse and reinforce the now multiply damaged spine. Failed fusions will necessitate follow-up surgeries of a more invasive nature to stabilize the spine. This will also reset the healing process back to day one, potentially extending rehabilitation for yet another full year or more. Infection is relatively common, especially when donor tissue is harvested from a cadaver or when surgical hardware of any variety is installed. Continued bleeding or spinal fluid leaks are relatively common and might also require another operation to fix the problem. Surgical hardware is known to cause huge problems for many patients. The hardware may limit movement, cause the abnormal bone growth or work itself loose. 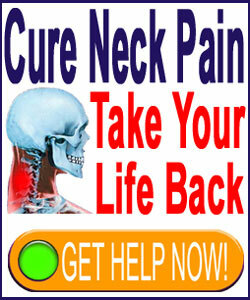 All of these circumstances can cause severe pain and functional loss. As noted above, spondylodesis enhances the effects of the normal aging processes on the spine, creating the ideal circumstances for patients to suffer degenerative injury to nearby spinal levels. Suffering herniated discs, drastic intervertebral desiccation, abnormal osteoarthritic growth, hypertrophic facet joints and general spinal canal and foraminal canal stenosis are all common near the site of spinal fusion. A common consequence of these occurrences is the need to undergo more surgeries in the future, including more fusions which will continue to apply more and more force to the remaining unoperated levels in a vicious cycle of suffering. Despite all of its many potential problems, spinal fusion is sometimes a necessary solution for particular patient circumstances. Fusion is best applied when there is simply no other treatment option available and there is an objective need for surgical intervention. These scenarios usually involve massive trauma and cervical spinal injury, drastic degenerative changes in the neck region or particular and often rare conditions, such as severe cervical spondylolisthesis or scoliosis. In all cases, fusion in the neck usually creates slightly less functional limitation, since it is high in the vertebral anatomy and may only restrict upper body mobility. Similarly, the head and neck are the only tissues weighing down on the fusion, unlike joined vertebral bones in lower anatomical zones of the spinal column. This fact helps to minimize the stresses placed on the fusion by the sheer mass of the body itself; a problem that is very obvious in lumbar fusion recipients. When things go well, patients might enjoy complete recoveries with minimal functional loss. Efficacy of the procedure might be organic or may involve the placebo effect, since it is a powerful and dramatic surgical therapy. There exist absolutely no studies that definitively conclude that spinal fusion is an effective treatment for any particular variety of neck pain. In order to maximize the chances for a positive result, be sure to find the best surgeon available to you, select the least invasive path of treatment and be absolutely certain that fusion is actually indicated and necessary for your given diagnosis. There are many other options available, including alternate surgical and conservative care practices. We recommend saving fusion as a truly final treatment option and only playing this card if there is no other possible path and surgery is objectively deemed to be required.